Axis Of Oversteer: When is a Hole not a Hole? 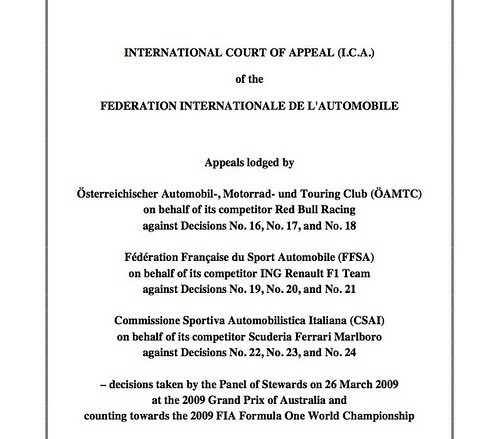 The FIA published the full text of its diffuser protest decision. Anybody want to dig for interesting bits? My eyes glazed over by the time they discussed when a hole is not a hole...if you know what I mean. in the process of doing a research paper, i've read some pretty boring stuff over the last few weeks. but this tops them all. props to them for their impressive ability of taking something cool that has to do with engineering, and making it put me to sleep.